When you think about a carpenter, the first thing that usually comes to mind is someone who builds things out of wood. You may picture a hammer and nails, timber framed windows, or a new house. While a skilled carpenter can build a home from the ground up, many details of the carpentry trade are overlooked or taken for granted. Here are a few of the many knacks you might not have realized a carpenter possesses along with an explanation of how this could help you with your own home improvement project. While the profession of a carpenter is often seen as simply building things, a significant amount of legal knowledge is needed before a project can even be started. Carpenters must understand the complex system of building codes and permits at the state and local levels before they can begin creating. Meetings with town planners or building inspectors are often on the agenda before a project can begin. The entire process, from pre-planning to completion, is something a skilled carpenter needs to be adept at. For more experienced carpenters they may also be able to project manage any home improvement that you are having done, whilst they might not be a specialist in every field themselves they will know the tradesmen that are. Often carpenters can project manage builders, electricians and plumbers to give you a complete package when it comes to a renovation or extension. Reading Blueprints and drawings comprise a large part of the planning involved in carpentry. A project can have multiple prints from various angles and is essentially a language all on its own. 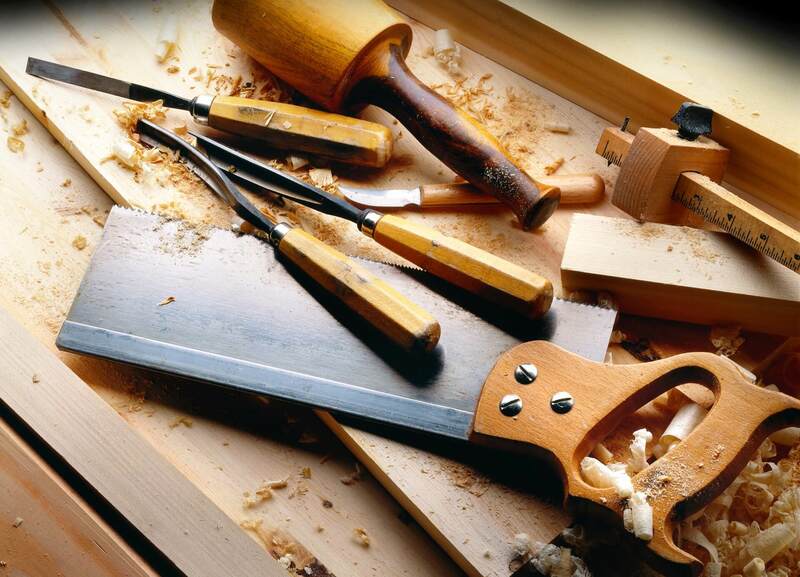 Skilled carpenters understand two-dimensional plans and are able to convert them into three-dimensional objects. Blueprints also help them understand the layout and installation of the project in order to estimate the time and costs involved. For many carpenters the blueprints serve as a rough guide to the homeowner of how something will look when complete. A lot of time, effort and materials are invested in creating wooden structures such as staircases, windows, fitted furniture and kitchen cabinets it’s good to let the home owner get a taster of what’s to come. When a home owner see’s the plans laid in-front of them it gives them the opportunity to change their mind and prevents the need for duplicate work or even starting again. The scope of a skilled carpenters work goes beyond the initial building of a structure to encompass finishing elements like cabinetry and custom details found in handmade fitted kitchens which is just one where the talents of a skilled carpenter are highlighted. As the most used room in the house, durability, and usability are important. A skilled carpenter, however, can create cabinetry to your own specifications with an array of materials. In older homes where construction is not perfectly square, a carpenter can design, build and install cabinetry that will blend perfectly. If maximizing storage space is important, they can alter measurements to your specifications. Positioning and installing details like decorative moulding and other distinctive elements are tasks that a skilled carpenter excels in. A skilled carpenter will be knowledgeable in all facets of construction, from major building projects to the smallest finish details. Surprisingly, what might appear to be a rather ordinary trade requires a substantial amount of know-how and training.